Hello! I’m Autumn Macarthur, a new member of the Inspy Romance blog, and it’s my first time here, so I need to introduce myself. 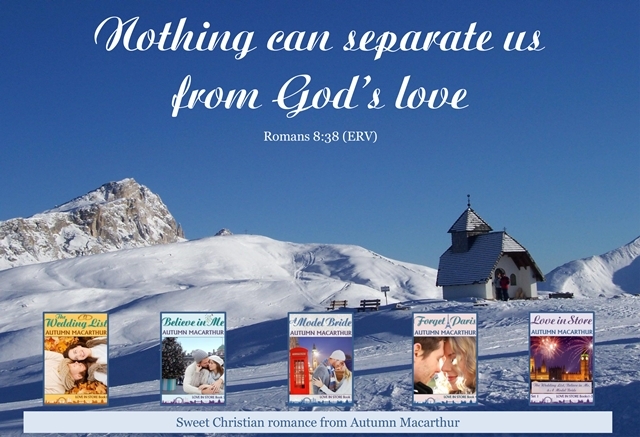 I’m an Australian author of sweet Christian romances. With my lovely English husband, plus four rescue cats and a guinea pig, we squeeze in a tiny house north of London that is juuuuuust big enough to hold all of us! I love God, chocolate, writing, and chatting with other authors and readers, so I look forward to getting to know you. God continues to tell us, “Be still…” In this barrage of wordiness, what does stillness look like? Maybe it means we take it a step further and explore just one word for a whole year. For 2014, the one word God gave me was “Renewal”. That word didn’t just change my life, it changed my stories too. For my characters, needing so much to allow love into their lives, renewal and going deeper with God became what they needed to before they could discover their Happy Ever Afters. 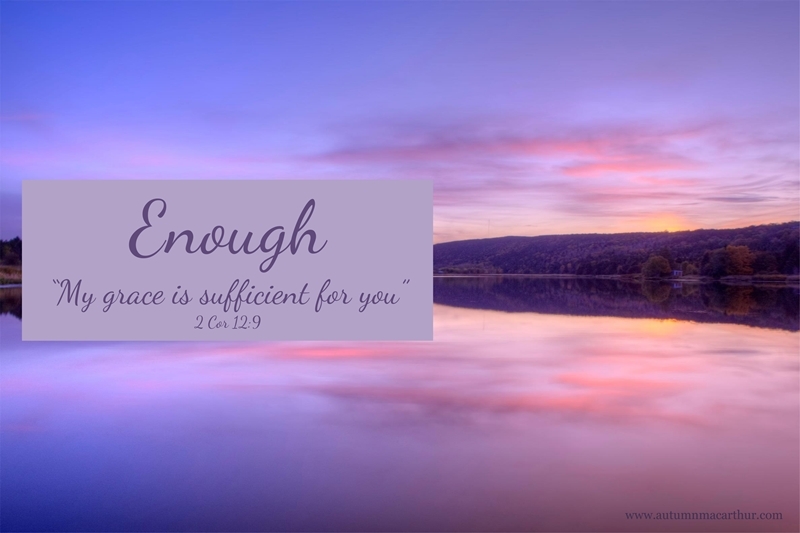 For 2015, God has given me the word “Enough”. Such a powerful and restful word! Not just enough in material terms, stopping always wanting more instead of trusting that He will provide for me and my household. It’s also enough, in trusting that His Grace is sufficient for me. I’ve sought to change my life and achieve things using my own strength, but that’s not how it works. It’s as tiring and pointless as trying to fly by flapping my arms really hard! His grace is all we need. We don’t need to work harder or do more or be more. We can step off that treadmill. All we need to do is to rest in Him and trust in Him. That is enough. Knowing that is a wonderful blessing. Enough. And seeing how that word turns up in my stories this year will be a wonderful adventure with God! Have any of you made any New Year’s Resolutions, or chosen one word for 2015? Feel free to share your one word or any resolutions that mean a lot to you in the comments. I’ll be praying for you! And all comments go in the draw to win a mobi (Kindle) ebook of three sweet Christian romances set in London, the Love in Store set of Books 1,2, & 3. If you’d like to read more about the One Word concept, as well as Debbie Macomber’s One Perfect Word, other books worth considering are My One Word, or One Word That Will Change Your Life. Welcome. I don’t make resolutions any more and I haven’t decided on a word. I like that idea, though. I think “enough” is a good choice. Thank you for a chance to win a copy of your books. So may of us don’t feel the need for resolutions or a focus word. God gives each of us different reminders of where he wants us! Welcome to Inspy, Autumn! It’s so wonderful to have you join this great team of ladies. I used to do resolutions when I was a kid, because it’s what everyone did at the time. With that motivation, it’s no wonder I failed. :) I haven’t really caught on to the one word thing, yet, because I feel like life is too short for me to just think on one word for an entire year. Instead, I try to live my life with God leading the way every single day. What does He have planned for me today? That’s my focus. This year, however, I am trying something new. My friend, Amanda, and I have joined in on Beth Moore’s Siesta Scripture Memory Team, a group of ladies (10,000+, if you can believe that!) who work on memorizing 24 Bible verses every year, one every two weeks. At the end of the year (actually, it will be the beginning of next year), there is a one-day retreat in Houston, Texas, to come together and worship God for the amazing things He’s done through our Bible verse memorization during this year. I’ve always wanted to be able to memorize scripture but struggled to retain them long-term. Now, I’m using my own tutoring advice and techniques to help keep them locked in my mind, to be able to retrieve them at a moment’s notice. At least, that’s the goal. Each verse I choose will be prayerfully selected and touch on things I’m dealing with at the time. It will be a year of spiritual growth for me, I’m certain. With my focus more attuned on God than ever, how could it not be? Wow, that sounds great, Andrea. One of my goals for the year is to be more consistent in memorising scriptures. Last year I started doing one a month and put it as my laptop background, so I saw it and read it over several times a day. To do it in a group and more systematically would be wonderful! I agree 100% with you on living with God’s leading every day. I journal as one of the first things I do most days, and part of that is seeking God’s will for that day. I guess for me, the One Word is the fall back position for those bad days when I’m being too self-willed or angry with God to connect with His presence. At least I can look at the word and verse He gave me! I don’t make them anymore.. I think my word will be Thankful… I will be thankful in all things! Deanna, what a wonderful choice! I know a strong element for me of “enough” is to give thanks for what God has given me. If I am ever feeling low or far away from God, giving thanks is a sure way to feel the joy again! 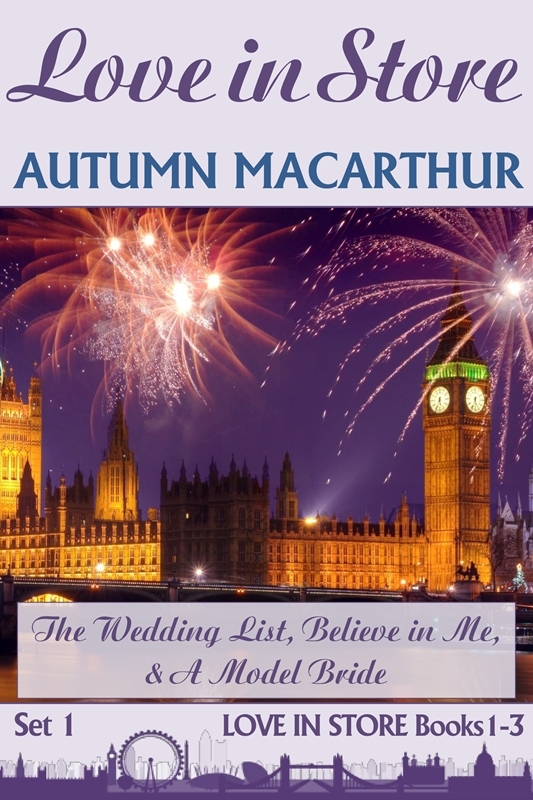 Welcome to InspyRomance, Autumn! So wonderful to have you here. I don’t make resolutions (never really have), but I’d like to choose a word for the year. I love your choice, and it’s prompted me to think of one for my own life and writing journey this year. Interestingly enough, “Renewal” was the title of the very first Christian romance I wrote (full-length). I’ve been thinking about it again lately, and I might pull it out one of these days and try to publish it. Seeing that word reminded me of it, so thank you for the inspiration. Blessings to you as your write for His glory in 2015! Thanks for the welcome JoAnn! The funny thing was, back at the start of 2014 I found this blog and thought how wonderful it would be to be part of a group of authors like this. And here I am, thanks to God! Autumn, I love your post. I do not make resolutions anymore because I very seldom ever followed through with them. I try to set a month to month goal. It seems that I can attain these a lot easier plus I can see results. Everyone is different I know. Wishing you many blessings in this new year. Wow! I love that, Becky! A wonderful and powerful choice. I feel so uplifted reading the verse. And sure, everyone loves a giveaway. So excited to see you posting here. Yay! Mirtika! Great to see your lovely face! A wonderful word and verse. I am nodding as I read it. Thanks Narelle. I’m so glad to be here!